T90 Responsive Opencart theme was developed for selling fashion brand clothes. It has a minimalist layout, which lets the visitors focus on the clothing being offered. Being fully responsive, it automatically adapts to portable devices, which allows for mobile commerce. Customers will be able to shop at your marketplace with comfort wherever they are. Firstly, big slideshow shows discounted offers and new collections. Text and visual banners facilitate main navigation menu. 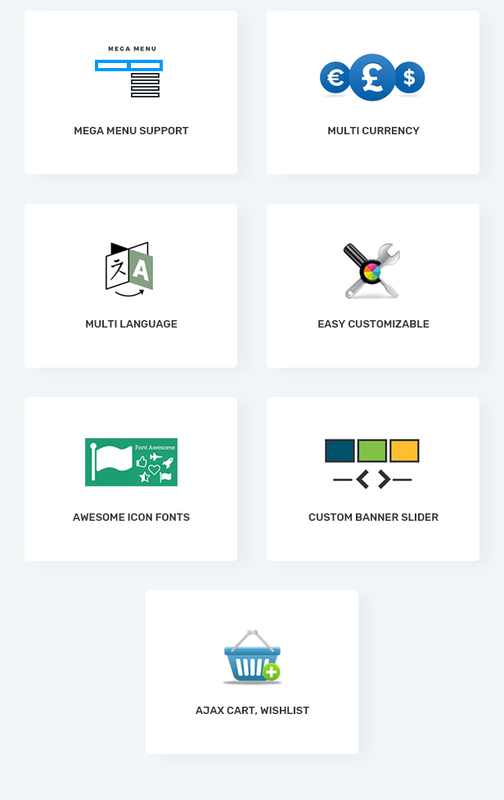 Next, Products Slider module are provided with hover effects. Tab Products Slider allow to display products on your homepage, each with a selection of products: Featured Product, New Products, Special Product and Categories in tab. Thanks to labels, new and discounted products catch an eye at once. Besides selling clothing & accessories, you can engage visitors with interesting posts on a regular basis. That’s what blog integration is meant for. Moreover, T90 theme provides a comfortable shopping experience due to wishlist and product comparison options. Buyers can add items they like to the wishlist with a single click. 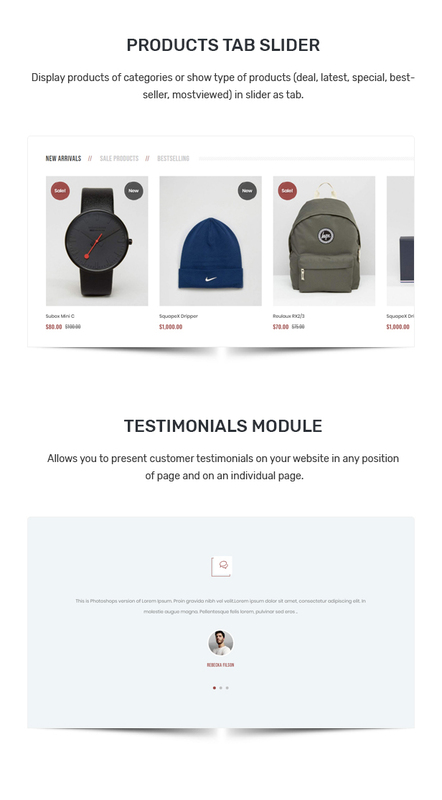 Ajax Add to cart , product quick view and filters also greatly contribute to the usability of this theme. 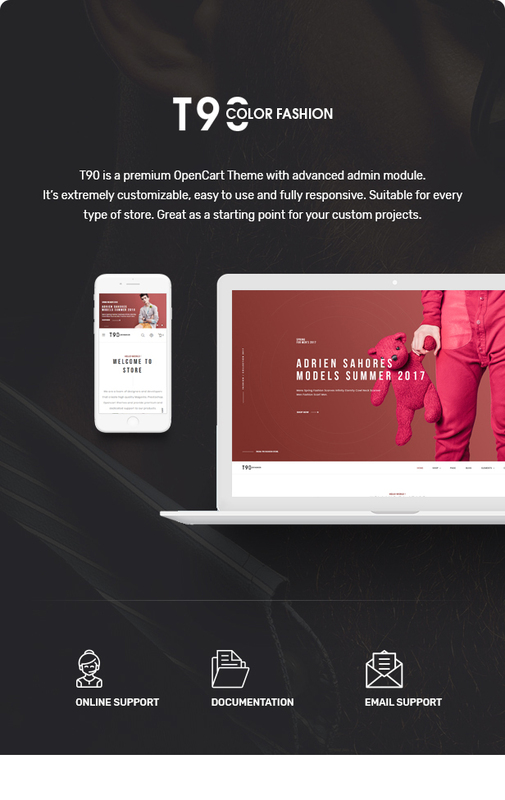 Just by some clicks, you will completely experience T90 Responsive Opencart theme with many powerful features!